The ocean is a mystery! The ocean occupies 71% of the Earth’s surface, but 95% of the ocean remains unexplored. Shark Facts! Out of more than 360 species of sharks only a handful of species pose a potential threat to humans. Did you know? Elephants kill more people every year than sharks! Speeding tickets! Sailfish, swordfish, and marlin are the fastest fish in the ocean, reaching speeds of up to 70 mph, that’s faster than the speed limits on most highways! Don’t be fooled! 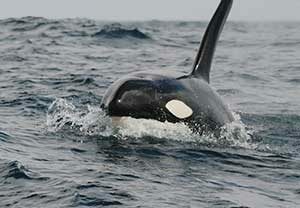 The killer whale is not a whale at all, but is actually the largest member of the dolphin family! Whales and dolphins sleep with one eye open, this is because half of their brain must always remain awake to allow them to surface for air even when they’re asleep! Deeper than the tallest mountain! Challenger Deep in the Mariana Trench is the deepest point in the ocean. If Mt. Everest were placed in this trench, it would still be covered by over one mile of ocean! Discover the unknown! Scientists estimate that there are at least one million new species yet to be discovered in the deep sea!